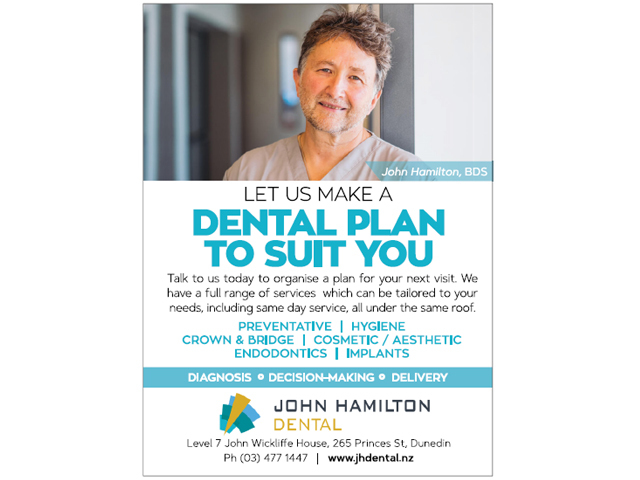 John Hamilton Dental is a new practice, benefi ting from John’s lengthy experience in the local dental industry. Here people come first, with an emphasis on fi nding the right solution for each individual. 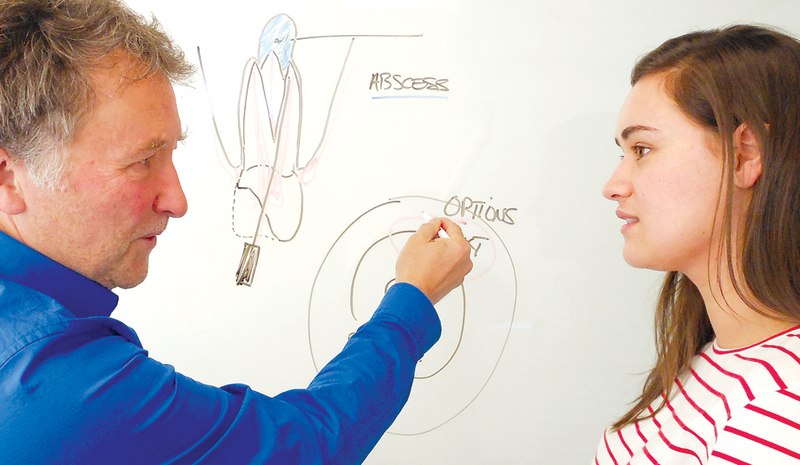 This means working with each patient to decide the best longterm plan for managing their treatment. “Looking to the future and being proactive allows more control over those decisions,’’ John says. Delivery is the key at John Hamilton Dental. This practice has the latest equipment, including imaging technology that enables more accurate diagnosis. Understanding exactly what needs doing is essential. The big plus for out-of-town and rural clients is single-visit procedures. Ceramic crowns can be done on the spot, and even more complex procedures such as root canals can now be done more efficiently. Don’t defer your dental treatment—see John now to get the best plan for you.